This is so pretty Sylvie! Gorgeous colours and layout, great embellies and fab attention to detail. A gorgeous card .. .. love that postcard in the background very much. I have been having a little catch up and you have been posting some fabby Christmas cards. I am thinking you are on a "tree" theme this year!! LOL!! Gorgeous creation Sylvie. Love that postcard and the embellishments. Hope you had a good time in the UK but bet you're pleased to be home in the sunshine again! Bet you are happy to be basking in the sunshione again! This is a lovely card. Great colours! 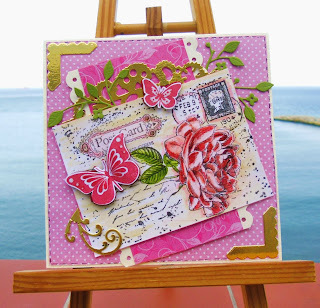 What a beautiful and colorful card with this lovely stamp! 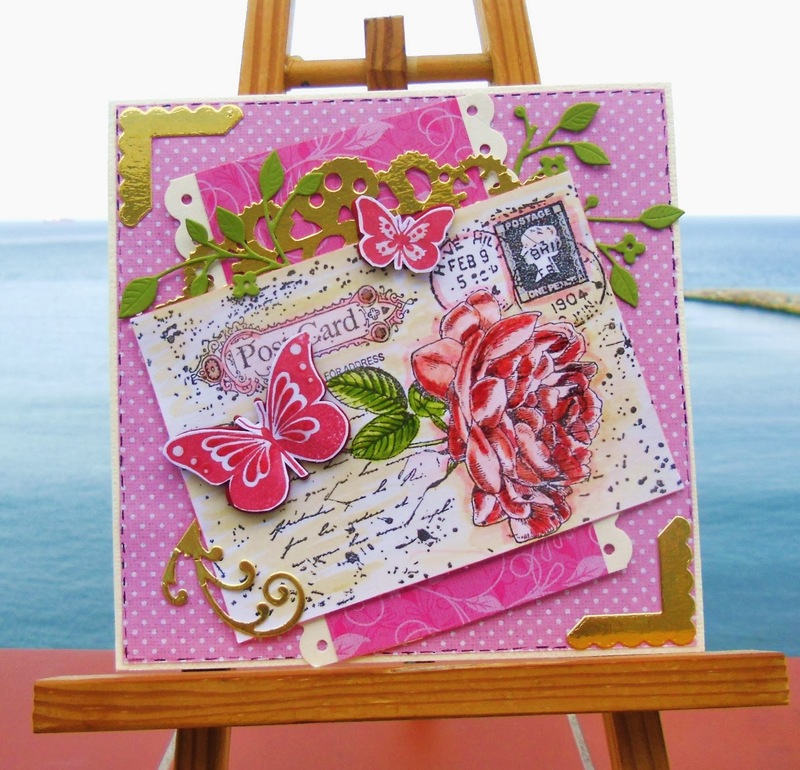 This is gorgeous Sylvie, I love the image and beautiful detailing win such pretty colours. Great card!! Love this stamp too..